Heat a small skillet over medium heat, cook and crumble sausage until brown. 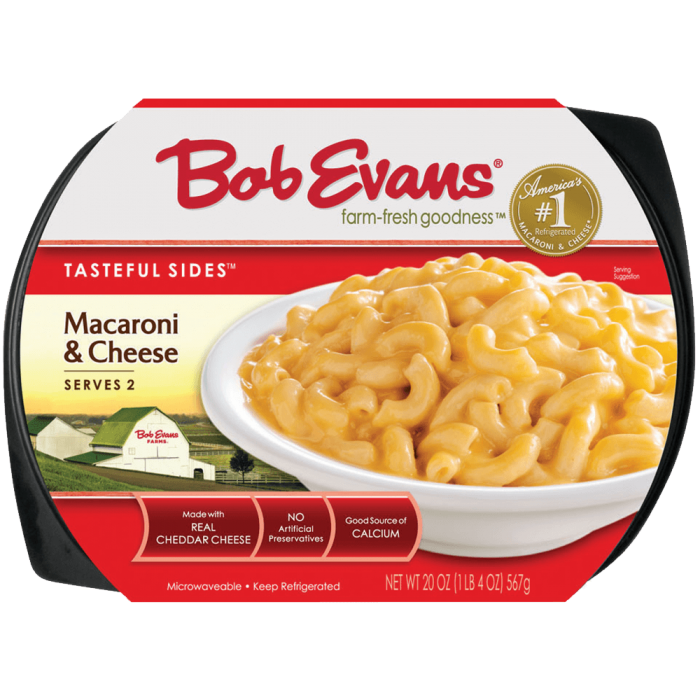 Remove board overwrap on Bob Evans Macaroni and Cheese, vent film and heat on HiGH power in microwave for 3 minutes. Place 4 ramekins on baking sheet. Divide heated Bob Evans Macaroni and Cheese between 4 ramekins. Top each with 1 Tbsp. pizza sauce, 1 slice of provolone cheese, 1 Tbsp. Italian Sausage and 3 pepperoni. Broil for 5 minutes or until cheese is melted and slightly browned. Carefully remove from oven and allow to cool for 5 minutes before serving. Use caution serving as ramekins will still be hot. 1 Preheat broiler on oven. 2 Heat a small skillet over medium heat, cook and crumble sausage until brown. 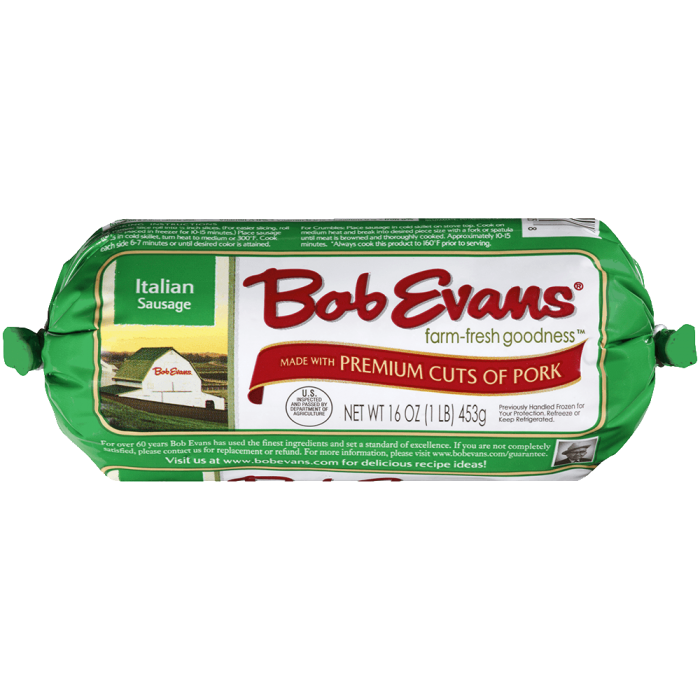 3 Remove board overwrap on Bob Evans Macaroni and Cheese, vent film and heat on HiGH power in microwave for 3 minutes. 4 Place 4 ramekins on baking sheet. 5 Divide heated Bob Evans Macaroni and Cheese between 4 ramekins. 6 Top each with 1 Tbsp. pizza sauce, 1 slice of provolone cheese, 1 Tbsp. Italian Sausage and 3 pepperoni. 7 Broil for 5 minutes or until cheese is melted and slightly browned. 8 Carefully remove from oven and allow to cool for 5 minutes before serving. 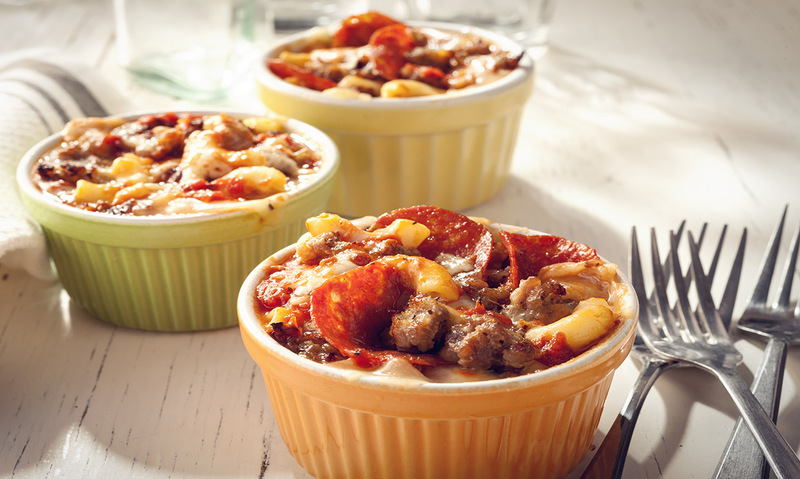 Use caution serving as ramekins will still be hot.